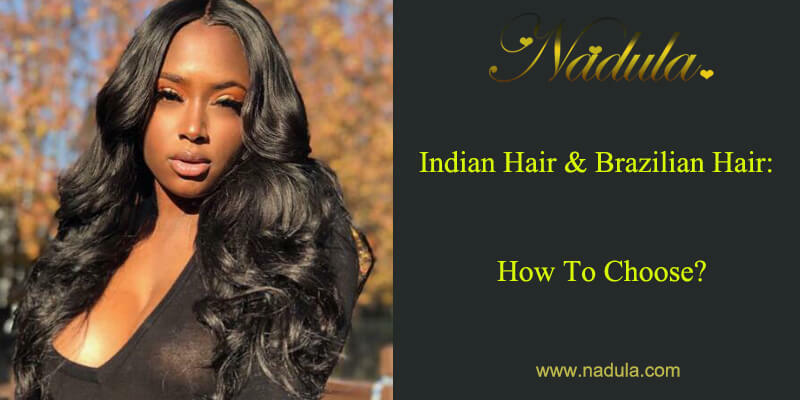 Indian Hair And Brazilian Hair: How To Choose? 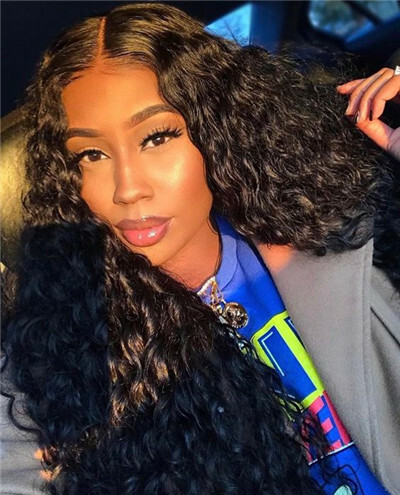 Human hair weave consumers all love Indian and Brazilian bundles.The great thing is there are many quick and easy styles you can try on your head that will completely transform your look! Before we dive into the looks its best to understand the different types of hair and how to care for them. 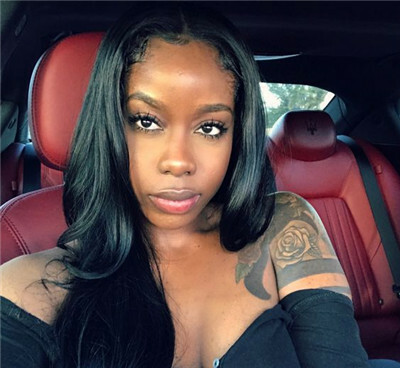 What Does Virgin Hair Mean? Virgin hair is the chemically unprocessed human hair from a single donor. It is free from dyes, perms, bleaches and hand washes. 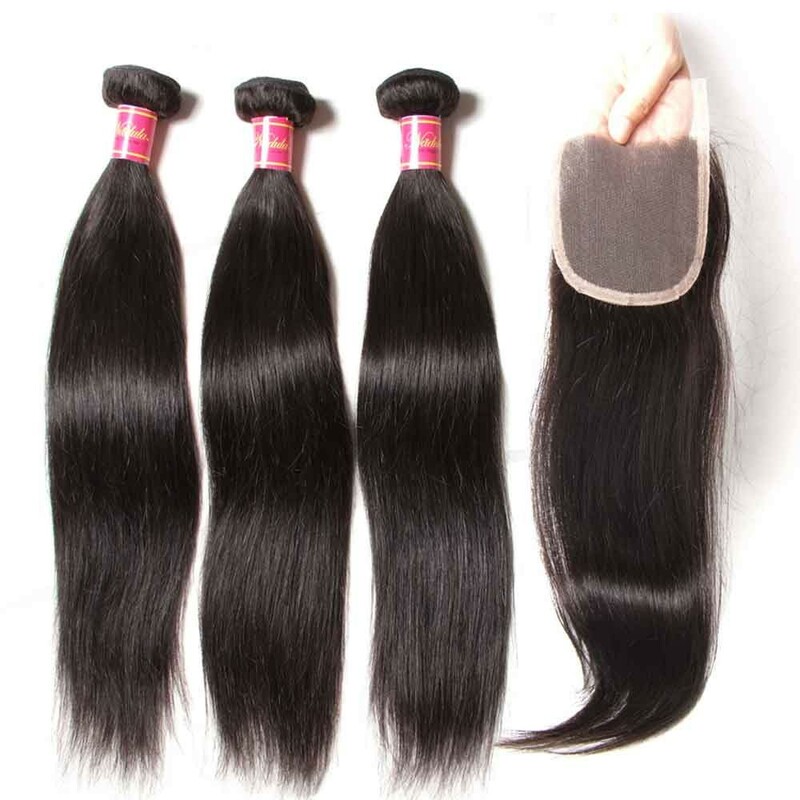 Our virgin hair is remy hair. This means the hair is gathered from the head of donors using a method designed to keep the hairs cuticles in proper alignment. As a result, the hair remains softer and silkier. Keep in mind that not all remy hair is virgin hair. 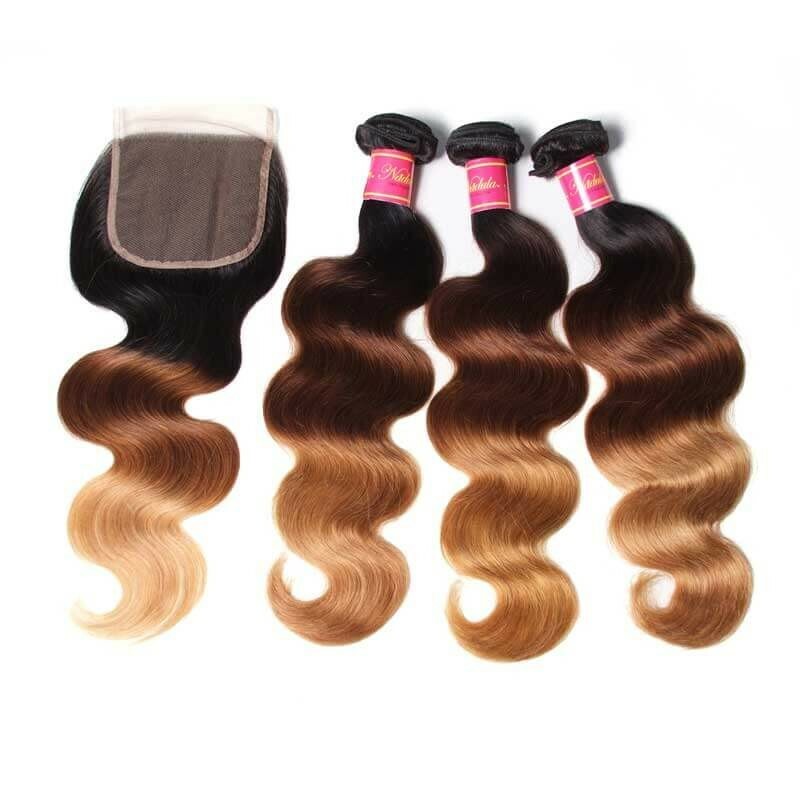 Some companies sell colored or perm remy hair. There are different hair textures in the hair industry. Virgin Indian hair is hair in its most natural form. It looks natural and behaves like hair that would be in your head. That is why it blends beautifully.If you take care of this hair just like your hair, it lasts for a very long time, sometimes even a year or more. So, if wearing long lasting, natural looking hair is important to you, virgin Indian hair is the way to go. Indian hair is one of the very high-quality hairs in the beauty industry. People love it because the hair is very light, airy, full of bounce and easy to style. 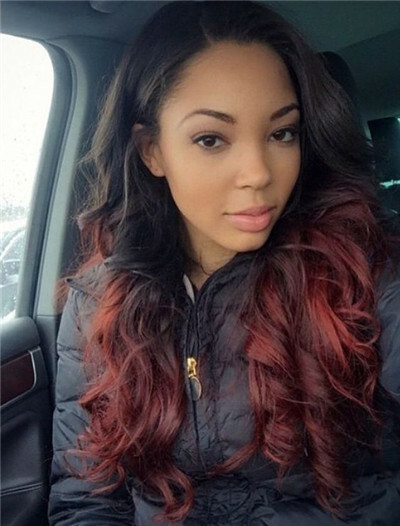 Indian hair usually comes in a natural straight and natural wave Indian hairstyle. If you are looking for a natural wave style, then this is the hair for you. Indian hair is also trendy because it does not tangle, shed easily or lose its natural wavy look. 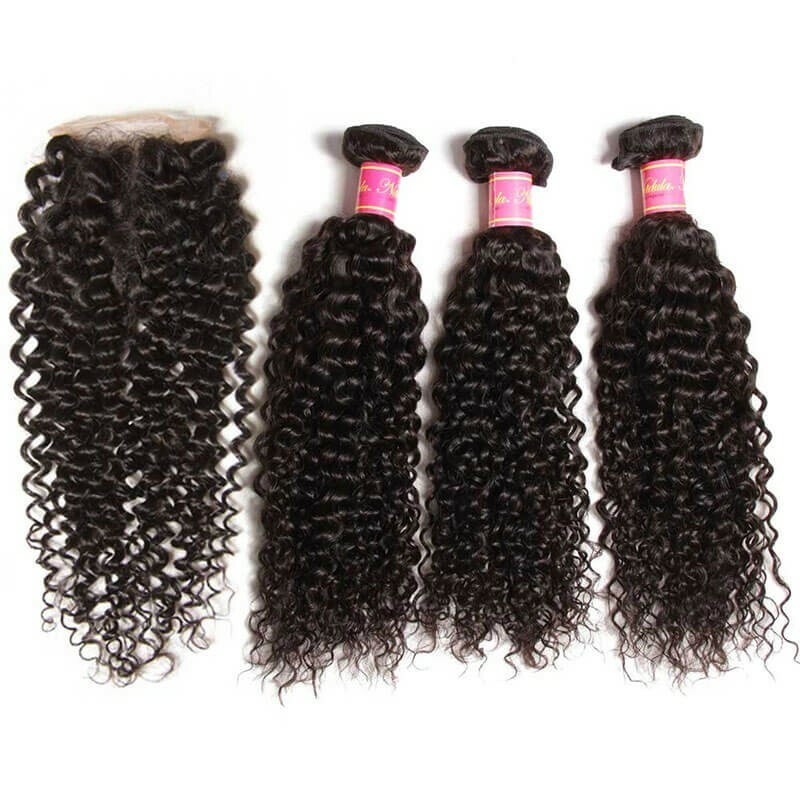 Indian curly hair bundles are becoming very popular and high in demand. Indian virgin hair is also pretty pricey. 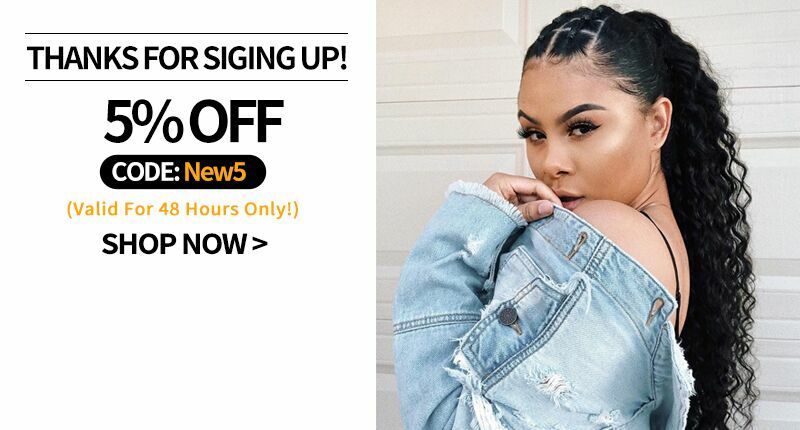 But in the long run, it is worth the initial investment because it lasts longer than the beauty supply store hair and is a much better value for your money. Brazilian virgin hair has gained the most popularity in the last few years due to its luxurious texture and versatility. Unfortunately, true Brazilian hair is very rare. In actuality, the majority of hair labeled virgin Brazilian hair is curly Indian hair that has been steamed. 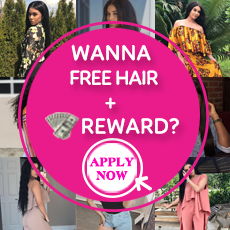 It's fairly common for hair suppliers to come from Brazil to buy Indian hair wholesale then take it back to their country to mark up and sell to women across the world. Despite the misleading label, virgin Brazilian hair is beautiful and it makes great looking hair extensions. It comes in wavy, straight or curly patterns. The straight textures are not bone straight and tend to have light waves in it. It styles very easily, and although not recommended, handles heat well and can hold a curl all day. Virgin Brazilian hair extensions blend well with most natural ethnic hair textures and can last up to a year or more with proper care. 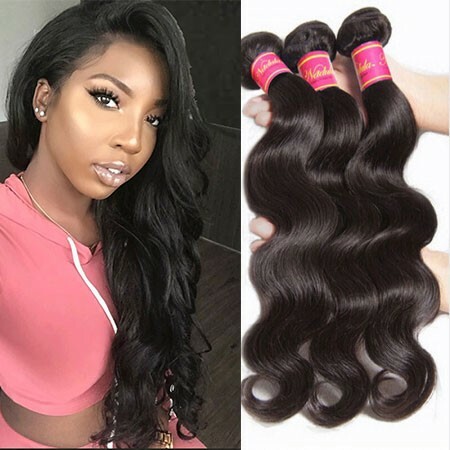 Brazilian hair is typically soft, relatively thick and very durable.For this reason, the hair is suited to any style, so it is always a great option whether you prefer a straight, wavy or curly style. 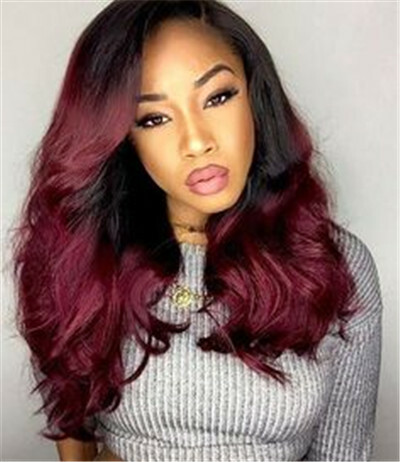 Brazilian hair also handles color exceptionally well so if you buy Virgin Brazilian hair, you can color the hair to any color you like. Due to the natural high density, you can also use fewer bundles to maintain a full look still. The best hair results occur when using less of it. It is this density that makes the hair not frizz as much as the other common types of hair like Indian or Malaysian hair. It also holds curls much longer compared to Malaysian or Indian hairs. Because of its light texture, it is very flexible and easy to maintain. 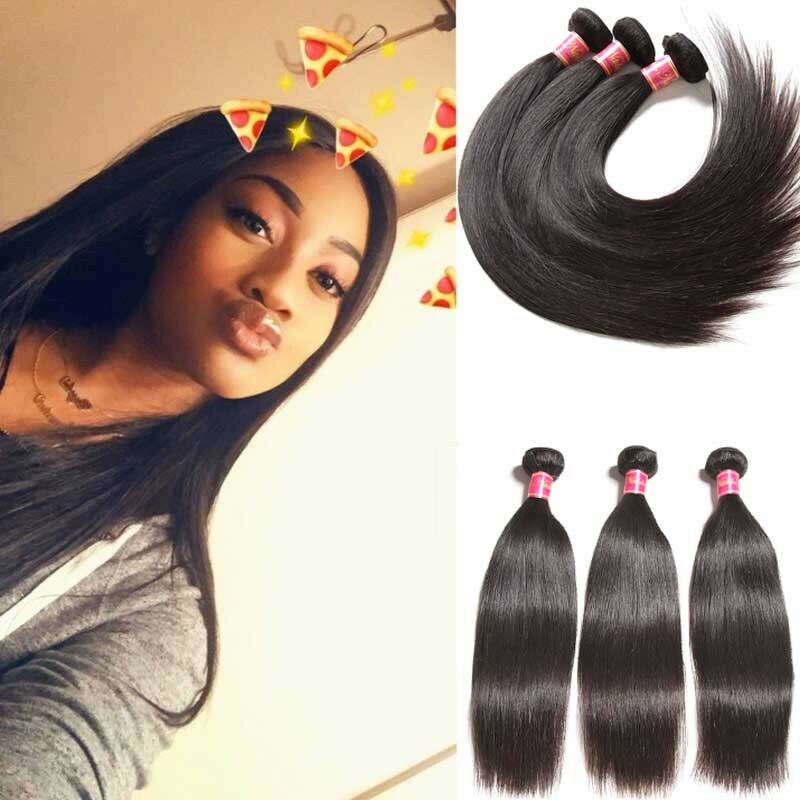 However, it does have a tighter curl when compared to the Indian type, and this makes it hard to flat iron.Brazilian loose wave closure can be used together with loose wave hair bundles. They all have natural movement and will never tangle or shed unlike non-Remy or non-virgin hair. They are all available in wavy, straight or curly textures.Straight Brazilian hair is very beautiful. The colors are not even throughout the weft. You will get a few patches where strands maybe lighter or darker than the rest of the weft. The most significant difference between the two types of hair is the density. 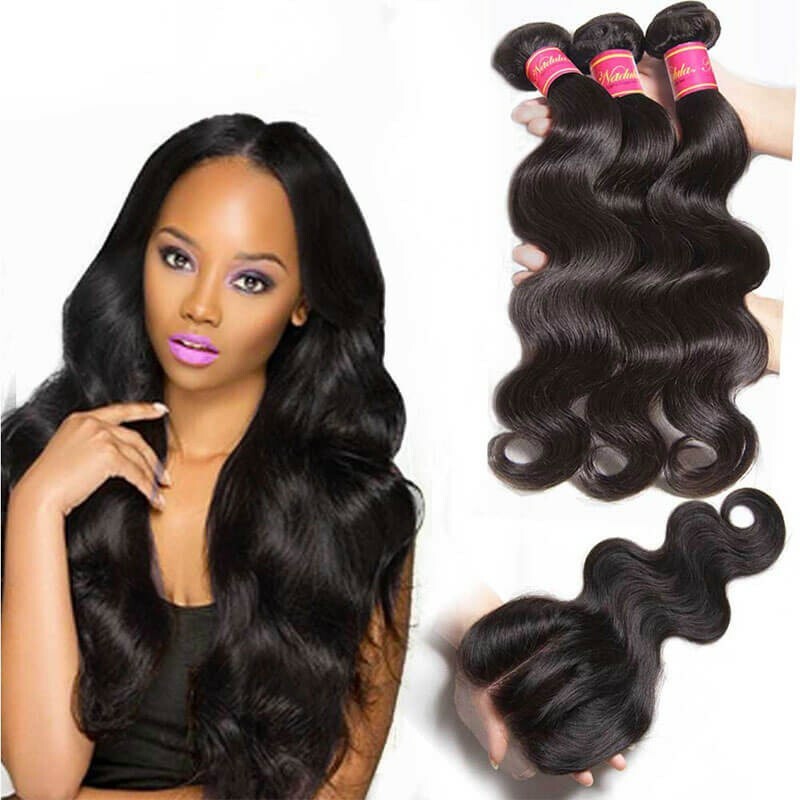 As stated before, Brazilian hair has a higher density than Indian hair which means you need fewer bundles to make the hair look full. Both types of hair are of high quality; it is up to the buyer to decide what is best for them. 1.A highly recommended tip is to air dry your hair. Air drying works for the two types of hair after washing and conditioning. 2.Perform a co-wash at least once in 2-3 weeks.Co-washing is only to condition the hair, no usage of shampoo is involved. 3.Try always to use a moisturizing leave-in conditioner. Avoid having to use any other grooming products between washes. 4.Use alcohol-free serums or products on hair. Using products without alcohol will not dry out the hair and make it frizzy. You also want to use sulfate free shampoo and conditioners to give your hair the best care. 5.Do not apply any thick oils on your hair as they will seep on to the hair extension, in turn weighing it down and resulting in restricted movement and potential tangling.